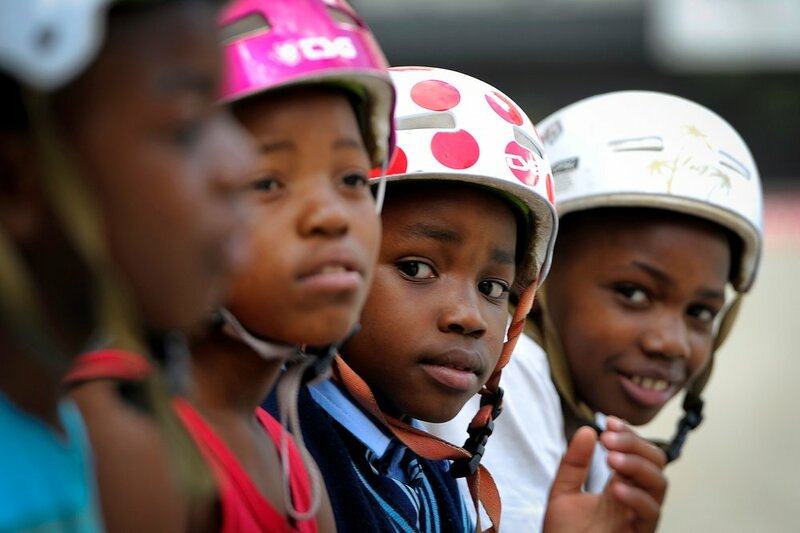 AN AWARD WINNING INTERNATIONAL NGO THAT EMPOWERS CHILDREN THROUGH SKATEBOARDING AND EDUCATION. Skateistan began in 2007 when our Founder and Executive Director, Oliver Percovich, traveled to Kabul, Afghanistan with his girlfriend at the time. A lifelong skateboarder, Oliver was skating the streets of Kabul and noticed how much attention he was getting from streetworking kids who wanted to give skateboarding a try. He started running some informal skate sessions in a disused fountain and he realized that although girls were often discouraged from taking part in sports, they were joining in with skateboarding because it was so new that no one considered it to be a sport. Oliver realized that by combining education with skateboarding, he could do something really powerful for the children, especially girls, in Afghanistan. 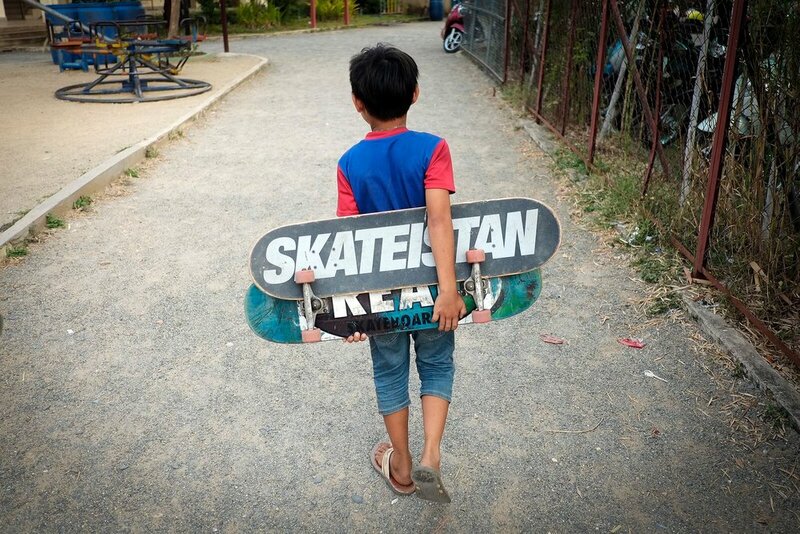 Skateistan was officially registered as an NGO in 2008 and opened its first Skate School in Kabul in 2009. Currently, how many skate parks, and in which countries, is Skateistan involved? We have four Skate Schools –two in Afghanistan (Kabul and Mazar-e-Sharif), one in Phnom Penh, Cambodia and one in Johannesburg, South Africa. We have over 2,500 active students and we particularly focus on girls, children from low income backgrounds and children living with disabilities. How do you think communities benefit from the Skateboarding scheme? What Skateistan provides is not just skateboarding sessions. 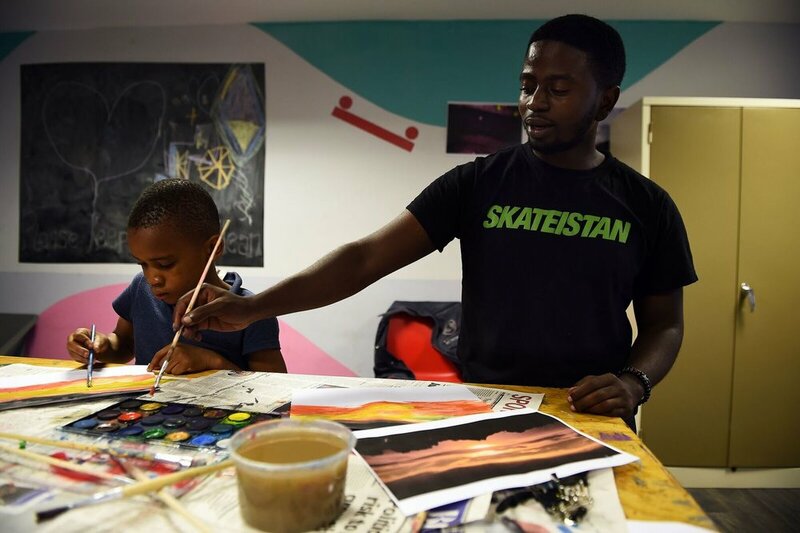 We combine skateboarding with creative education, which gives children a chance to learn skills they’re not getting in the classroom. We focus on life skills, such as social interaction, leadership, self-improvement and determination and our aim is to create future leaders. As children progress through Skateistan programs, they not only improve their own skills, but they can become Youth Leaders and help to pass on what they have learned to younger students. In this way, they become role models in their own communities and we empower them to believe that they can change their own world for the better. What are some of the greatest challenges you face introducing Skateboarding to new communities? We work in very different environments to the challenges we face are varied, but we tackle this through our Community Educators. Even before we open a Skate School, the Community Educator meets with families and leaders in the local area, helping them to understand what Skateistan does and how it can benefit their children. All our staff are local and we adapt our programs and the way we work to the contexts we work in. This means that the communities trust us. An example of this would be Atefa’s story (Afghanistan) – her family was worried that it wasn’t appropriate for her to take part in skateboarding and so they prevented her from attending Skateistan. But when the Community Educator visited her family, explained how things work at Skateistan and what Atefa would learn, they allowed her to return. Tell us about some of the projects Skateistan is currently working on. Skateistan just launched a new program called Dropping In, which gives children a chance to have fun and develop their interests and skills outside of our usual programs. They can come for extra skateboarding lessons, get help with their homework, make use of the library or join in additional sport sessions, like climbing, yoga or soccer. We’re really excited about this opportunity to widen the horizons for our students and allow them to explore their own potential and passions. What has been a pinnacle moment for Skateistan? There have been a lot over the last 10 years! The opening of each new Skate School is a very special moment. It takes so much work to get there, but the moment that ribbon is cut, you know that there are hundreds of children about to benefit from the most inspiring curriculum, the fun and freedom of skateboarding and self-expression and the most awesome, dedicated staff team you can imagine. That’s a very special thing. How can people get involved in Skateistan outside of the partnered regions? The best way to get involved and to be a part of this awesome movement is to become a Citizen of Skateistan. This is a global community of supporters, students, staff and skateboarders who share our belief in the power of skateboarding to empower children. For $10 a month or more, you can join this amazing community and make a real difference in the lives of thousands of children. How have you seen skate culture develop in the last years? What we’re really excited about is the increasing number of girls who are skateboarding. 50% of our active students are girls which is something we’re really proud of, and we’re seeing this increase in participation all over the world. At its best, skateboarding culture is one which welcomes everybody. How important is it to the Skating community for Skating to be included in the 2020 Olympics? For our students, it’s pretty exciting. Before 2007, hardly anyone in Afghanistan had even heard of skateboarding and now it’s going to be part of the Olympics. That gives students inspiration and shows them that what they’re practising every week is something that other people care about too. It provides them a context that is way bigger than their everyday life and that’s really important in places where the future can seem unstable. What is the next country that you would like to see Skateistan travel to? We have plans to open a third Skate School in Afghanistan later this year in Bamyan. And we are also scoping out plans to have a base in Jordan – this is in its very early stages but we’re super excited by the prospect of being able to bring Skateistan to even more children!